Have you ever done comparison shopping and thought you were being a smart shopper? I have. This item is 50% off but that item is 75% off. The logical thing to do is buy the one with bigger savings, right? Is our reaction disproportional to the threat? Was it worth going to war? Was it worth Obama signing a bill yesterday that took our right to trial in an effort to protect us from terrorists? Terrorists who caused more deaths by making us avoid airplanes than their actual act of terrorism? Regardless of your answers to these questions, realize this: The people who are the most aggressive about protecting America are the ones who are the most fearful, and fear can cloud our judgment. The ants worked and the grasshoppers played. The grasshoppers had a giant nest that was always stocked with food, so they spent their summers relaxing. They largely ignored the ants, but noticed that the ants would sometimes bring back shiny pebbles with their food. 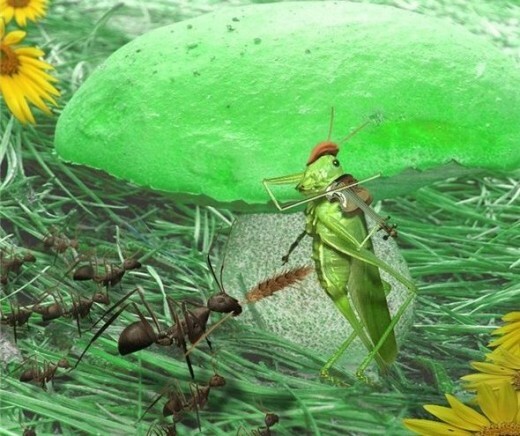 The grasshoppers offered the ants some of their food in exchange for the pebbles. The ants agreed. The grasshoppers grew to love the shiny pebbles, so the ants decided to collect more pebbles for the grasshoppers in exchange for their food. After a time, the grasshoppers’ nests were both finely decorated and stocked with food. Years went by like this, but soon the grasshoppers’ food stock got dangerously low and they didn’t know what to do. Fortunately, a boy came, and curious about nature, decided to feed and observe the grasshoppers. The grasshoppers were happy again, and the ants continued with their work, gathering food and providing pebbles. Years and years went by. The grasshoppers grew old, and so did the boy, and he started visiting less and less frequently. The grasshoppers didn’t mind at first, but soon their food was almost gone. They tried going out and finding food, but discovered they had forgotten how to hunt and scavenge. They went to the ants and asked for food, but the ants told them they didn’t need the grasshoppers anymore. The ants moved their feelers sympathetically. “We have found ways to live without you or the boy anymore.” The grasshoppers were still confused. The ants explained, “Whenever the boy visited you, he cleared a path through the grasses, making it easier for us go out and find food. And before, you would give us food for the pebbles. But now, we’ve found a way to grow our food. Right here.” They showed the grasshopper their nest full of food, which looked just as the grasshoppers’ nest had looked many, many years ago. Then the grasshoppers saw the ants had started their own garden, filled with whole fruits! The ants thought about it and decided they could still use the grasshoppers. And soon the grasshoppers found themselves an integral part in the growing careers of food service, landscaping, and housekeeping. 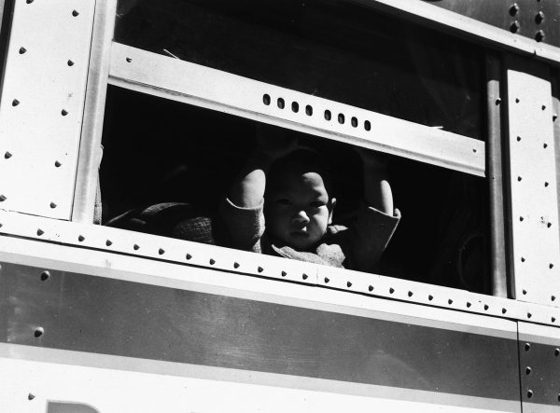 In 1942, after Japan attacked Pearl Harbor, the US government collected over 100,000 Japanese-Americans, most of them American citizens, and detained them in internment camps for over three years because they were seen as threats to American security. We give great power to our government and we trust them to use it wisely. What do you think? Should the government have this power to jail you without trial if they find that you “substantially supported” terrorism without defining “substantially” or “supported” and not not allowing a lawyer to argue it for you? And if so, should the President claim these powers “until the end of hostilities” in a war against terrorism which has no clear end? The government has the power to dispense justice under a system of law with clear codes of right and wrong. If Obama signs this bill today, the government will be able to decide, without argument, when punishment is necessary and how to dole it out. These are serious questions that I hope all of you would consider to ensure we can live a happy life. Every year around Christmas, we go shopping to get gifts for our family and friends. Christmas time is when we’re reminded that we should be giving to the people in our lives. To my credit, I’m on the look-out for things throughout the year for my friends and family. Thoughtful gifts are more…well, thoughtful. These past several years, though, have made me reassess my relationships. Have you ever bought a gift for someone because it was expected as part of social convention? Some people have somehow settled into the Varsity squad of your relationships without trying out for the team. Don’t be afraid to bump them down. Think of it this way: You’re not omnipotent. You’ve got finite time and resources, and the more you spend them on getting gifts for acquaintances the less you have for the people who you value. Secondly, I have found Christmas to be a time to review my emotional bank account with my family and friends. The bank account works like this: You and another share it, and each must contribute to it pretty equally in order to have mutual benefit. Over the last several years, I’ve come to realize there are people I do indeed value, and that no gifting makes up for having regular conversations with them to see what they’re doing, and more importantly, asking them how happy they are about it (that’s the emotion part). If I don’t know the motivations of the people I value, why do I value them, right? Unfortunately, I’ve found a deficit in my bank account with people who I do value, and now I’m making it a point to stay in more regular contact with them. I don’t wait for them. I reach out first. 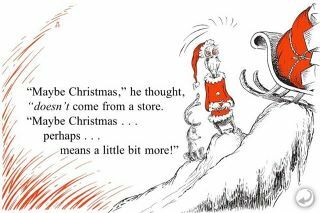 So, this Christmas, sort out whether you are sympathizing with the Grinch, or empathizing with him. If you’re empathizing, tune that emotional bank account so that you’ve got people in your life who you value and, just as important, who value you. If they don’t, then send them to the JV bench. It isn’t so bad. I was sitting there for years. New technologies are powerful. 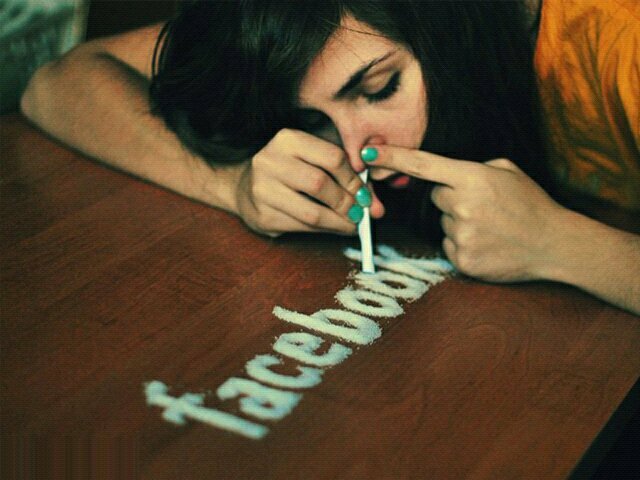 Whether it’s a social networking site, a smart phone, or online shopping. They can teach and connect us. And they can make us less creative, more dependent, and less intimate with others. It’s a fine..line. In a complicated society, we give up to the God-complex, listening to the authorities who have all the answers, instead of facing the task of fixing the problem. Tim Harford tells us that when a problem persists, the method to fix it is simple: Trial and error. Experimenting helped me find my perfect running gait. Maybe we can use this method to improve bigger systems, on the scale of societies. Communities can be different and each type needs the leadership and experience of its citizens. If only we can use our humility to admit that we don’t have the answers and our strength to face our problems, fail, and try again. And the confidence to challenge the authorities who tell us they have the answers. By acclimating, we can continue to exist. By reasoning and experimentation, we will thrive.